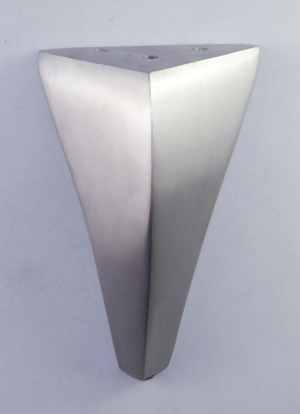 IEC’s cast aluminum legs are available in a variety of finishes such as: Satin Chrome (-SC), Bright Chrome (-CHR). The satin chrome finish is a soft, brushed finish. The bright chrome finish is an attractive polished mirror finish. Most have a non-skid rubber pad on the bottom of the leg.